To those who know her, such a statement is woefully inadequate. The truth – which Fitzgerald is too modest to admit – is that almost every single day she makes a very big difference, and for much more than an hour. Take just one of those hours, for example. From 4:30-5:30 a.m., Fitzgerald visits a 94-year-old neighbor, tends to her needs, feeds her cats, grabs her newspaper, and leaves a friendly note on the way out. And that’s just one gratis patient on the list. And then there’s the other octogenarian. “I make sure that she gets her hair washed and cut, and that she has food, and I take her to the doctor’s appointments – she’s had a bout with colon cancer,” Fitzgerald says. Then there are the hours Fitzgerald has spent, over the course of years, doing medical exams on local Bhutanese refugee children. And don’t forget the countless hours spent making a difference at the University, where Fitzgerald prepares her students to work with vulnerable populations and sets them up in social service agencies – such as the ACCESS shelter for homeless women and children in Akron, which Fitzgerald visits every Monday night, often taking students with her. And then there are those hours in which she and her students served the senior members of the House of the Lord church in Akron, and assisted local homeless veterans, and taught social-emotional self-regulation skills to at-risk preschool children. Her lessons continue to inspire her former students. Of all the hours that Fitzgerald spent making a difference, undoubtedly the most painful were those spent at the Children’s Center of Medina County, where she cared for victims of sexual abuse for 12 years, oftentimes having to appear in court to testify on their behalf. “It was a very difficult job,” Fitzgerald says, having resigned from the clinic in October to spend more time with her family. Such solicitude is characteristic of UA’s nursing faculty, she says. 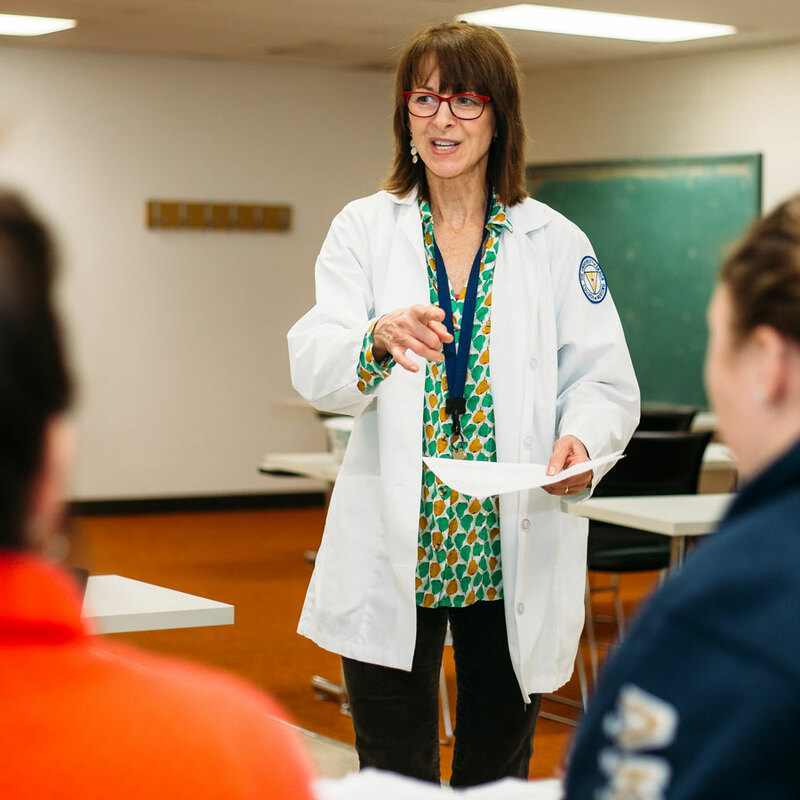 The School of Nursing has recognized Fitzgerald’s achievements by giving her the Outstanding Undergraduate Faculty Award (2009) and the Mary E. Gladwin Award (1996). She has also been recognized by the Sigma Theta Tau International Honor Society for Excellence in Nursing Education (2012) and by the National Residence Hall Honorary as an Outstanding and Distinguished Faculty/Staff member (2014), and she is a recipient of the Rising Up and Moving On Recognition from the Medina County Child Protection Agency of Community Service (2012), among other honors. When Fitzgerald is not collecting awards, writing papers, giving speeches or serving patients and students, she enjoys running – and even makes a difference there too. For those still counting, the question, really, is no longer whether Fitzgerald has made “a little bit of a difference…for an hour or so,” but whether there has ever been a waking hour in which she has not made a difference.